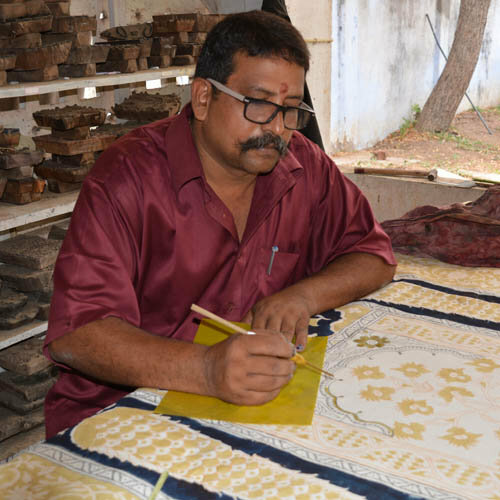 Srinivas, a kalamkari manufacturer and has been into this art since childhood. After losing his father, Mr. P.V. 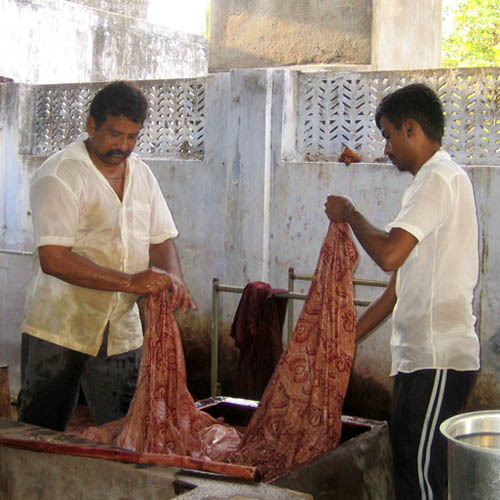 Subbaiah, Srinivas completely dedicated his work to kalamkari. 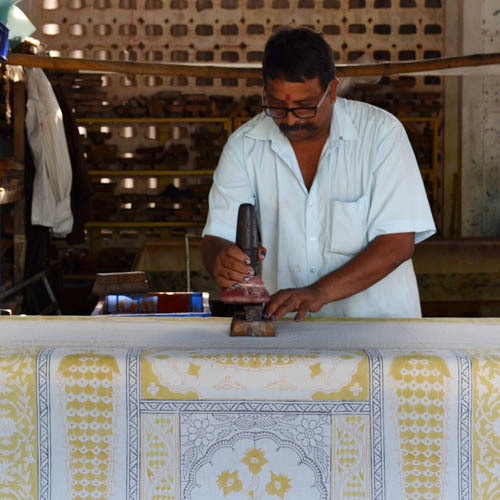 His father was the founder of kalamkari art in Pedana village. Kalamkari is a globally famous traditional art. Srinivas strives to develop new methods, colors and improve this century old art. Further he has a special interest in natural colors, who also started working with organic yarn. 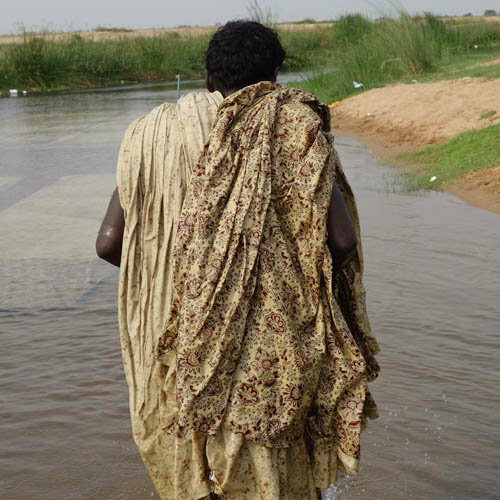 With this he is able to provide a livelihood for the weavers community. Srinivas master piece is a new 'Tree of Life', which he created with 212 blocks. Whereas normally 15-20 are used to print a product. His son Varun Kumar (B.Tech), is following his father's footsteps, in order to further develop and preserve this traditional art.